This type of customized motorcycle is known as a "Chopper." As its name indicates, a Chopper is composed of elements from a myriad of sources. Customization is derived from owners' tastes and accessibility of component parts. Choppers became popular in the late 60's and early 70's following the anti-establishment Hollywood films, most notably Easy Rider, which featured a Chopper. All motorcycles presented are the property of private individuals. Like many Harley-Davidson enthusiasts, they have made modifications to their bikes, expressing their individual tastes. They are not intended to represent the Harley-Davidson Motor Company or its brand. 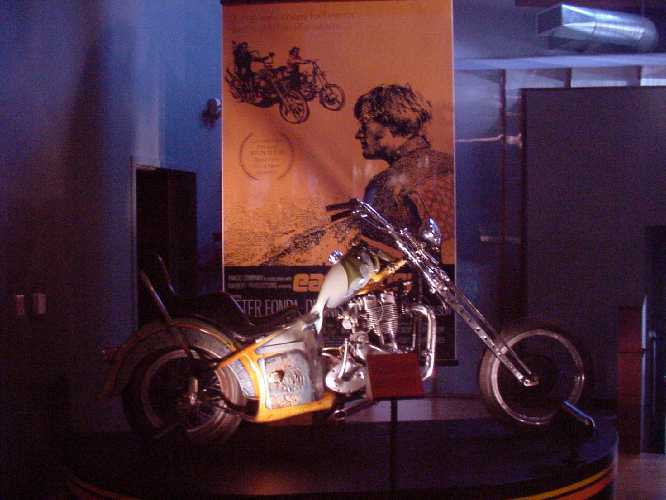 Rather, they are exhibited as examples of milestones in Harley culture.